Gozanti, how useful are they really? 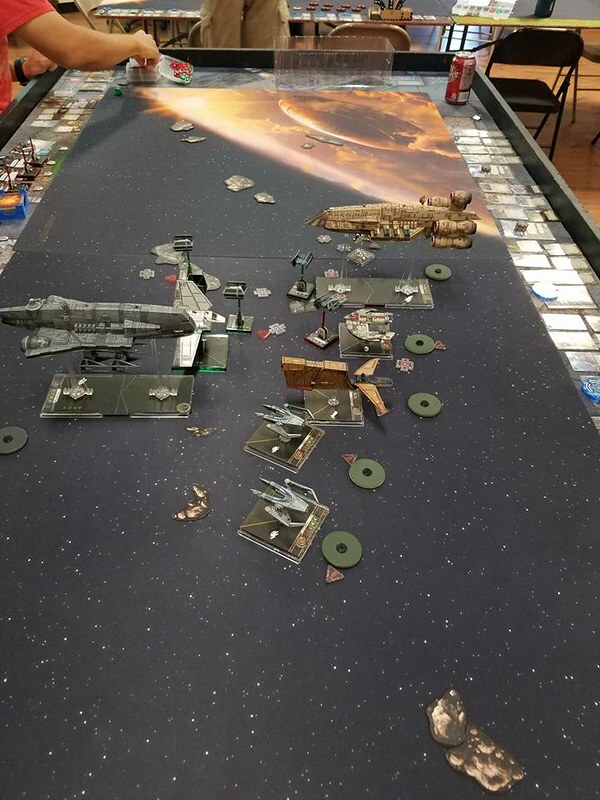 Being a single Gozanti cruiser can only carry 4 ships, and only 'deploys 2 at a time, has no evade action, and rather poor hull/shields, compared to say the Decimator, how useful is it really if someone did an epic game, or for HOTAC made a mission where one was the target of the mission? They look cool with the TIEs docked? They are also quite cheap with base ship 40 points and meanwhile I think a patrol leader on a Decimator is around 41/43 points. Don’t forget they can also run over smaller ships. Launch the TIEs before you engage the enemy. Let the TIEs engage and you can support them. Well before them aces like Soontir and Whisper were dead to rights in epic. After that Gozanti became a battle taxi allowing Soontir to avoid the early game (where he is most vulnerable) and tear into the late game. Use the titles. Then a gozanti can launch all 4 starfighters at once or launch them at PS 8 for an alpha strike. The Gozanti is absolutely amazing. Firstly deploying ships. Even without the titles this is an amazing ability. Docked ships deploy after their carrier moves and huge ships move after anything else so most of the time everything has moved and you can pick the best position for them. Also whilst docked ships cannot be fired upon. I find TIE Interceptors appreciate this in the Epic environment. Then you can deploy them right in someone’s face. No arc dodging and with Requiem title they’ll probably be shooting a 4 dice primary before anyone can do anything about it. Oh and then they get their own actions and the Gozanti can coordinate with one of them for extra fun. Secondly no evade action but the thing has a reinforce action! That’s like a permanent evade token for the whole round. Hull/Shields may seem weak but that’s what the Recover action is for. You’ll likely only trigger this once (effectively) and you need to manage your energy but getting back your shields is a strong ability (reinforce is usually better though). Just don’t forget to take Automated Protocols so you can target lock or coordinate and then recover or reinforce. Finally it deletes any ship is overlaps. Fun times! The Gozanti is by far and away the best huge ship. Well that pesky Rebel Transport is very good competition. Can’t wait for the 2.0 version... I’m hoping for Epic versions of actions as reinforce/jam/coordinate seem to have been watered down for standard play. Bright Hope, Pesky? Disgusting more like it. one of the gozanti titles allows you to deploy all 4 ships, but even without it its still good. the thing you need to consider is that the gozanti is essentially a support ship with no drawbacks. it can regen, carry epic crew, support, and still has a big gun and the tonnage to brawl with most other ships in the game point for point. its a waaay better ship for points than the raider fot example. particularly when 2 IAC Gozantis with decent loadouts is under the 100 points base for the raider. The cheap Epic ships tend to be more cost effective than the large ones. 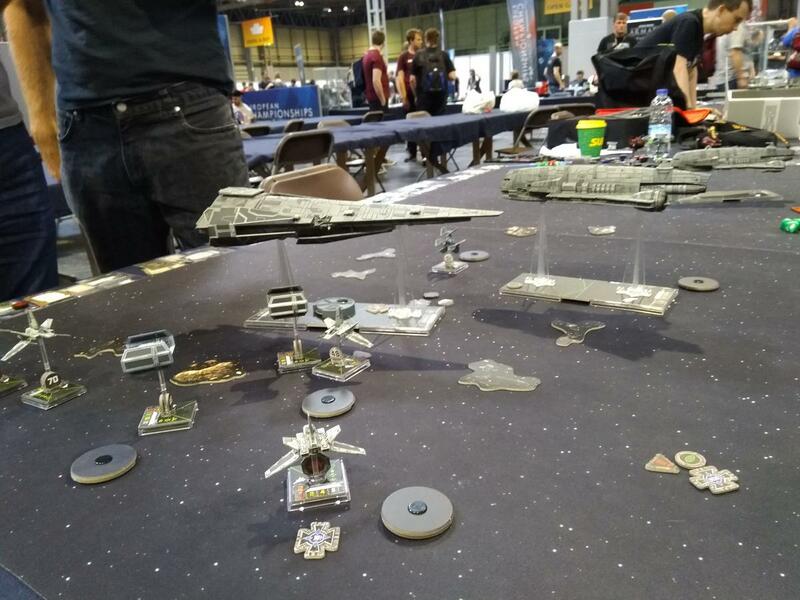 The Gozanti really is excellent value for money - unlike the Rebel Tranport you can arm it, and you can also deploy up to four fighters (with the title) to really mess with the enemy's plans. Launching off four Deadeye/Harpoon/Guidance Chip TIE Bombers - or even just four Interceptors - can be DEVASTATING. @Arma Quattro and I took a pair of Gozantis to Euros for Team Epic. It was GLORIOUS. Oh, and it's 1/270 scale as well, which makes it even better. Hmm Might have to change my views on it..
Two Gozantis can literally tear to shreds an Imperial Raider even with all the firepower that this last one can bring into the battle. First, they have more hp. One hull and one shield less than one section of the imperial raider means that they are somewhat sturdy anyway with no crippled status.. and we all know what happens to a raider once the Fore section goes down. where's the enemy? Or is that an empire vs empire battle? Empire Vs Empire. 2 Gozanti vs a Raider. With missiles flying everywhere! Yep. Gamma squadron veterans with Assault Missiles. Quite a nuisance for our gunboats..
Perhaps assault missiles weren't that good in the normal format but in epic they can be absolutely devastating against all the small formations. I am also a major fan of the Gozanti. I used it to field TIE interceptors, just the generic Alpha Sq. Pilots, and I kept weapons off of it so that it wouldn't draw enemy attention. It was always a blast! EDIT: I got some money for Christmas that I am saving for Second Edition Epic conversion kits. They've gotta be coming out this year. Those docked Interceptors look gorgeous. 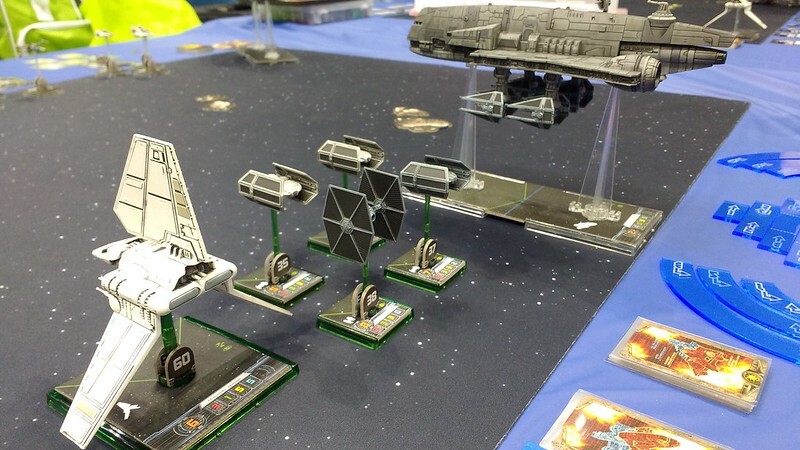 I always enjoyed the Supressor title with Grand Moff Tarkin, and a Single Turbo Laser to just hang back and lob pot shots. T-65's with no Foucs take a lot of hits, even with 4 green dice. Supressor is also good to mess with Epic ships that use Ordnance Tubes. I enjoy loading one with LNs or Bombers and Tarkin and the Turbo Laser, flanked with other TIEs or sometimes bare Interceptors, and blowing straight into the fray and angle away as I launch the TIEs at the moments when they can strike best; allowing the opposition to focus on the TIEs and then use the Gozanti to then take those long-range shots. She's never died in the blocking run yet.